ONCHAN, Isle of Man – September 11, 2017 – PokerStars is set to hold the first PokerStars Festival in Germany from November 17-26, 2017 at the Casino Schenefeld in Hamburg. The live poker festival is sponsored by PokerStars, the flagship brand of The Stars Group Inc. (Nasdaq: TSG; TSX: TSGI). 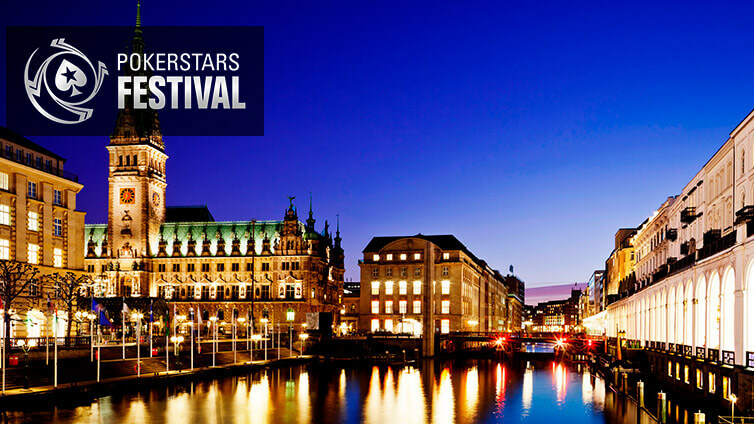 PokerStars Festival Hamburg will feature a host of tournaments for players to sink their teeth into including the €1,100 PokerStars Festival Main Event, with €500,000 guaranteed, the €330 Hamburg Cup and the €2,200 PokerStars Festival High Roller. “I’m excited to see the first PokerStars Festival ever held in Germany and I’m expecting this event will attract many players. I’m especially hyped to have a chance to meet up with members of the German poker community,” said poker coach and Team PokerStars Online Felix Schneiders. Casino Schenefeld is situated on the northwest border of Hamburg and located close to the Elbe river, one of the major rivers of Central Europe. Hamburg is the second largest city and a state of Germany and is famous for its harbour area. Players can start qualifying online now for as little as €2.20 and take a shot at playing in the €500,000 guaranteed PokerStars Festival Hamburg Main Event through a wide range of satellites already underway online at PokerStars. Full details about PokerStars Festival Hamburg and its schedule can be found on the PokerStars Live website here. PokerStars brings its unique live poker experience to poker players and fans across the globe. Now that the PokerStars Championship Barcelona and inaugural Sunday Million Live have wrapped up, PokerStars Festival Uruguay and Dublin take place in September with PokerStars Festival Sochi and the first Sunday Special Live in New Jersey following in October. For full details on all live events, including the latest tour, PokerStars MEGASTACK, visit PokerStarslive.com. Media who wish to apply for any future PokerStars Championship / Festival stops can do so via a new online media application form here.